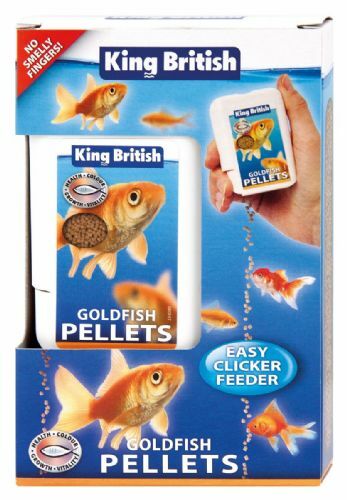 King British Goldfish Pellets Easy Clicker Feeder 26g is a complete pet food for all coldwater fish in a easy clicker feeder. The pellets inside the easy to use container are high protein, low waste formula foods meaning their is less excreted into the water as waste, helping to maintain water quality. 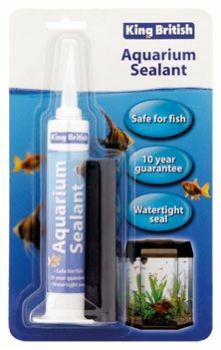 King British Aquarium Sealant is a silicone sealant ideal for aquaria building/repair, mounting valves and sealing connections. It offers a permanently flexible, watertight seal and excellent adhesion even under extreme pressure. It is harmless to fresh and saltwater fish. King British Bloodworm Treats are suitable for all aquarium fish, plus turtles & terrapins. Bloodworms are insect larvae, freeze dried immediately after harvest to retain flavour & nutritional value. King British Goldfish Treats are fun and healthy treats suitable for all goldfish. The treats are compressed discs of goldfish food that will stick to the glass of your aquarium and attract the fish to feed. King British PH Minus is a product that lowers the pH of water safely to a suitable level. A pH level is the measure of acidity or alkalinity of a solution. A low pH indicates that a solution is acidic, whilst a high pH indicates that a solution is alkaline. 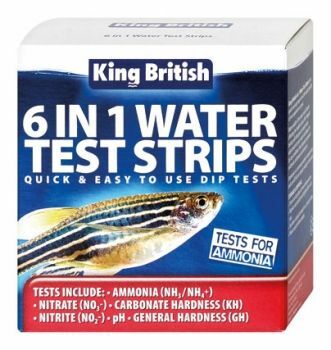 King British pH Plus increases the pH of water by the addition of non-alkaline buffers in coldwater, tropical & marine aquariums. Ideal for use with Lake Malawi & Lake Tanganyikan Cichlids. ​​​​​​​A low pH indicates that a solution is acidic, whilst a high pH indicates that a solution is alkaline. King British Tropical Fish Pellets Easy Clicker Feeder 26g is a complete pet food for all surface, mid-water and bottom feeding tropical fish in an easy clicker feeder. The pellets inside the easy to use container are high protein, low waste formula foods meaning their is less excreted into the water as waste, helping to maintain water quality. With all essential vitamins, minerals & trace elements. Made from the highest quality ingredients. Semi-floating formula developed to meet the behavioural feeding requirements of a wide range of tropical fish species. 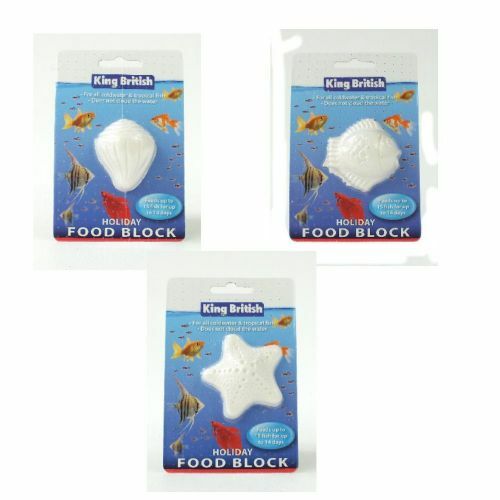 King British Tropical Treats area fun and healthy treats suitable for all tropical fish. The treats are compressed discs of tropical fish food that will stick to the glass of your aquarium and attract the fish. King British Tubifex Treats are suitable for all aquarium fish, plus turtles and terrapins. They are a natural river-dwelling worm, harvested, then freeze-dried immediately to retain flavour & nutritional value. 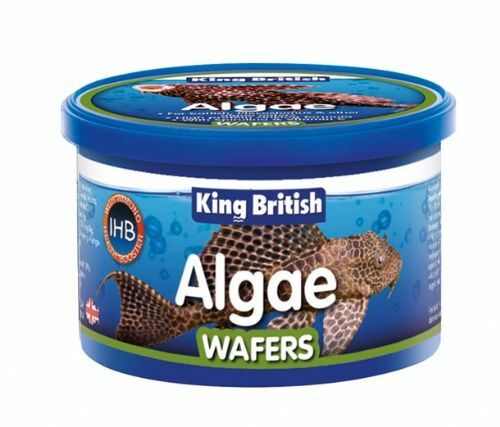 King British Variety Treats are fun and healthy treats suitable for all tropical, coldwater or marine fish. The treats are compressed discs of food that will stick to the glass of your aquarium and attract the fish to feed.